SARA welcomes the Sea Walls artists to Cairns! Here, at Sharks And Rays Australia we are super excited to have you wonderful people visit Cairns on your inspirational mission to create artwork for marine conservation! My name is Barbara and I am the Director and Principal Scientist of SARA. In the image to the right you can see me doing what I love, which is working with and raising awareness for SAWFISH. Sawfish used to be quite common here in Far North Queensland, but nowadays they are rare. Globally their chances are even worse and the freshwater sawfish, Pristis pristis, is considered to be amongst the 100 most endangered species in the world. Given that their reduction in numbers has a lot to do with people taking the saws as trophies (I think this makes sawfish our own aquatic rhinos, sadly), raising awareness for sawfish is one of the most important things we can do to ensure these magnificent animals will exist into the future. Thank you for choosing Cairns as the canvas for your art! 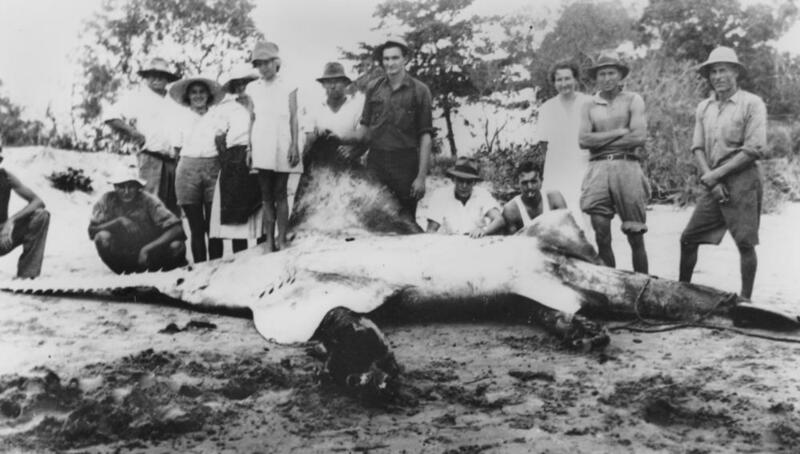 Check out this image above from the State Library of Queensland of a sawfish that was caught at the mouth of the Mulgrave River, just south of Cairns, in 1938. Sawfish generally inhabit shallow waters, but these large animals are hardly encountered anymore. This breaks my heart, just imagine how amazing it would be to see such a creature! Now let me take you on a journey to Northern Queensland, where we work with sawfish and other sharks and rays! Below you can watch our video on the saw-less sawfish. People chopping off the saws of live sawfish for trophies seems to become an issue in Queensland. SARA’s data collected over the last 2.5 years indicates that 5-10% of all sawfish we have captured our captures that have been submitted to us are sawless. A study by our collaborators form WA, Team Sawfish indicates that these animals can take up to 3 months to starve to death. Here is another educational video from our colleagues at NESP in the NT. Enjoy! Last but not least you can read some more about Australian sawfish in an article written by my colleague and friend Nicole Phillips (she works on sawfish genetics) and myself. You can access the article here. Have you heard that a sawfish was found 700km inland in the Northern Territory? Here is a link to the ABC article. It also shows some amazing rock art of sawfish. I recently spoke with an Indigenous Ranger who told me about sawfish rock art in the Laura region, 4 hrs north of Cairns, indicating the cultural importance of these animals to the Great Barrier reef region. 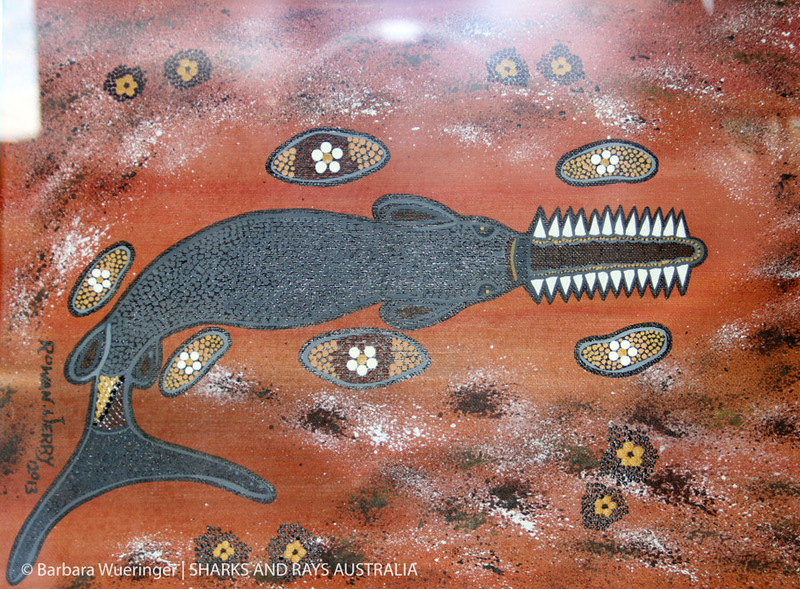 Below is an image of a sawfish from Burketown, in the Southern Gulf region.